4WD Systems has a range of LED light bars, Traditional Spot Lights, HID Spot lights and Accessories. LED light bars vary from 10.5″ to 54″ in length, all black Powdercoated water resistant bodies, polycarbonate lenses and either adjustable End Mount or Pedestal mounting systems. 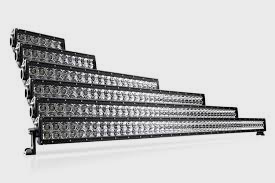 Available in Single or Dual Row, 3, 5 or 10 watt LED's with a variety of beams, from 8 degree Spot to 120 degree Spread. Traditional auxiliary lights in round or rectangular bodies, Halogen or HID globes in Spot, Spread and Combination Lenses.